San Marcos Equine is a veterinary practice serving the equine communities of Santa Barbara and San Luis Obispo counties along the central California coast. Established by David Jensen, DVM in 1985, the focus remains on integrating horsemanship and wisdom with medical excellence for more than 30 years of private practice. Equine stewardship is an ethic that prescribes the wise and responsible management for the well-being of our patients, the very essence of good horsemanship. Our goal is to implement this ethic in collaboration with our clients to achieve optimal health for the life of their horses. We believe excellent medical care and careful management is key in facilitating wellness and peak performance for the athlete, the broodmare or the family pet. Our practice emphasis is guided by the principle that a focus on prevention and well being is a more powerful tool than treatment in the pursuit of optimal equine health. The personal relationships we nurture with our patients and clients encourages the best decision making in selecting the wisest use of advanced technologies in the diagnosis and treatment of your horse. 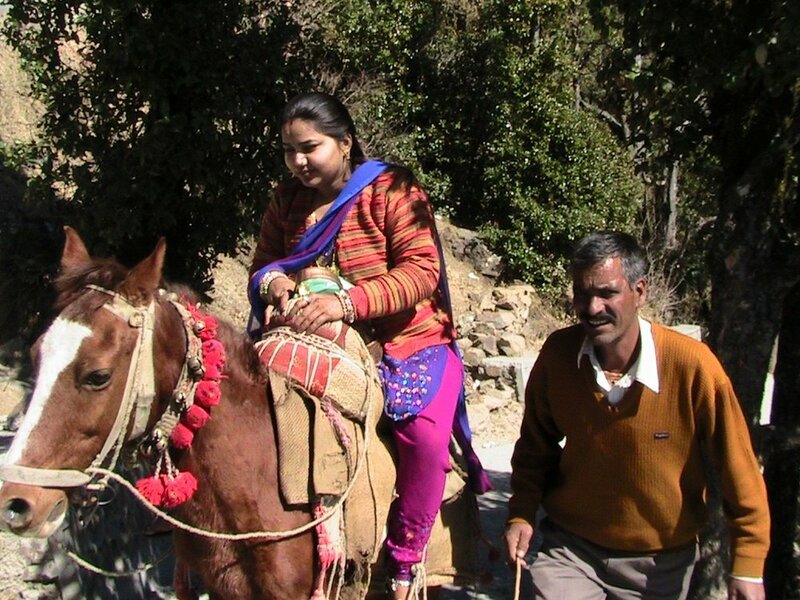 Horse and rider on Dr. Jensen's trip to India. Our focus is on wellness, athletic fitness, and optimal performance for your horse. San Marcos Equine provides ambulatory field services at your facility. In addition to his primary care practice, Dr. Jensen has a special clinical interest in OPHTHALMOLOGY, PODIATRY, and REPRODUCTION and is available for appointments and consultation. Our ambulatory equipment is designed for ease of use and mobility allowing us to provide sophisticated diagnostic and therapeutic stall-side procedures without having to transport the patient. Innovative on-farm services are provided via a specialized mobile veterinary clinic equipped with advanced diagnostics for rapid first-contact veterinary care. Dr. Jensen operates a Galaxy Mobile Clinic made by Bowie Manufacturing which is fully equipped to allow “patient-side” delivery of an extensive range of medical and surgical procedures. Medical diagnostic equipment on board the mobile clinic includes digital radiography, digital ultrasound, and ophthalmic scopes. To make an appointment, please call 805-344-2212, OR contact us HERE to email your request. Business Office: Monday - Friday 7:30 AM - 4:30 PM. Field Appointments: Monday - Friday 7:30 AM - 5:00 PM. Emergency Service: Provided during and after regular business hours, 24 hours a day, 7 days a week. If you have an emergency or urgent matter, please contact the office at 805-344-2212 for important on-call instructions. A live operator will be available to answer your call. Financial Policy: To assist you in planning for your appointment, we are happy to provide an estimate prior to your scheduled visit at your request. The practice policy is to accept payment in full at time of service. We accept cash, checks, Visa, MasterCard, Amex and Discover.